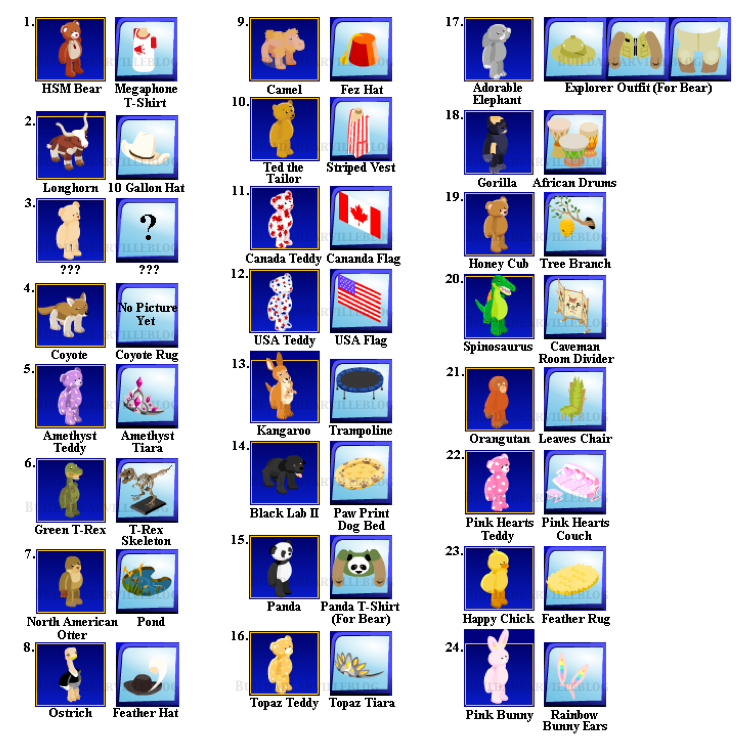 Picture Guide Furry Friends & Exclusive Items! Well here it is! 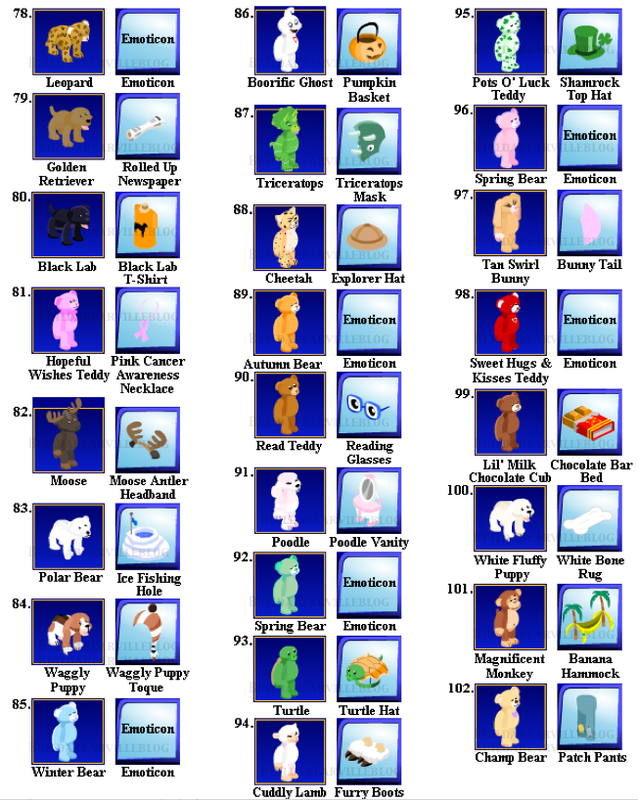 This guide is a quick reference for people looking to match up a bear with its item. 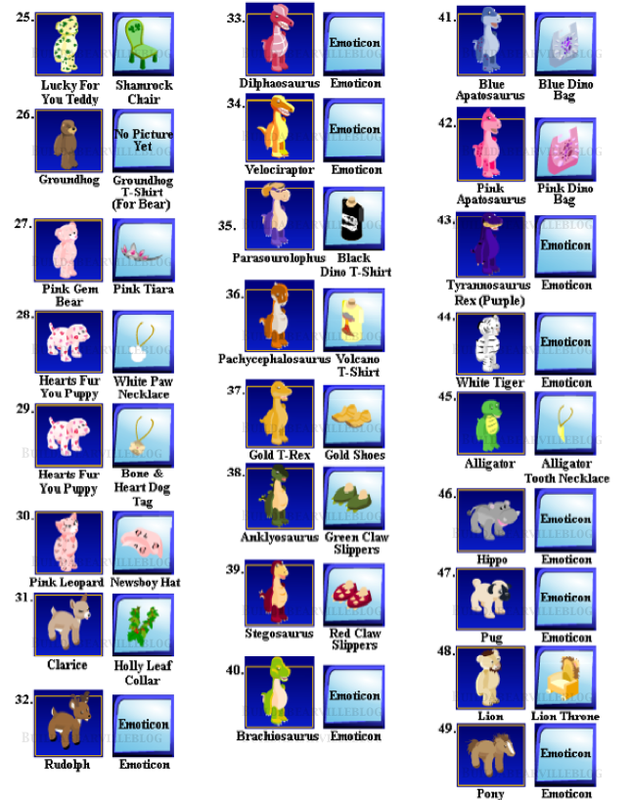 I have spent a lot of time creating this guide with much help from Freya for all the support and willingness to help! I also give thanks to MelindaSnowflake2, unfortunately I came to her when I was almost finished with this guide so she couldn't be of much help but she was very willing! If anything needs fixed please tell me in a PM and I will try and fix it as soon as possible! *Important! I do not have the emoticons finished yet. I promise to get them in as soon as I can but it is a work in progress. 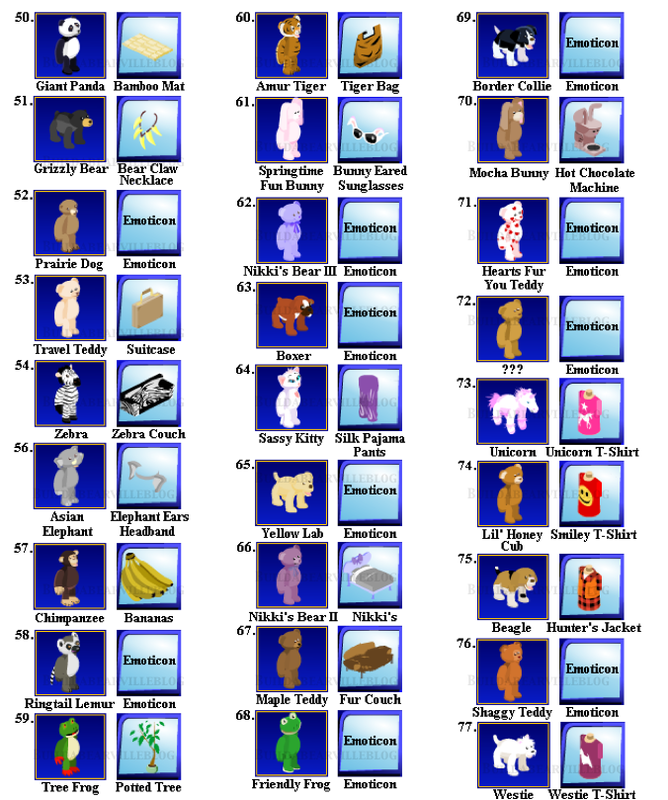 For now you may look at MelindaSnowflake2's very helpful Emoticon Encyclopedia! I do appreciate it if you want to give me pictures. But please remember to put them in .png format! Also keep in mind to make sure that in your options your graphics are high. This is important because I need clear pictures so I can edit them. If you aren't sure that they are clear then put them in your paint document and zoom in on them you should be able to tell then. Last edited by Freya; 12-19-2008 at 03:23 PM..
A lot of you have been asking for the thread that Freya had. Since it's not available at the moment I'm putting Starbit's thread here for you. Fee free to comment in her other thread Here. This is just for viewing.